Are you looking for a gift for a new baby? Then a personalised baby bib makes a great present! 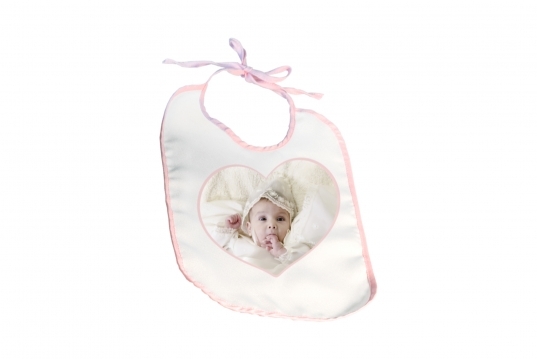 You can have any picture you like printed on the bib. The bibs are available in either blue or pink trim. Each bib is 100% soft cotton and has a velcro fastening.